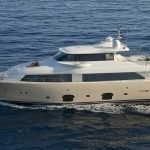 Luxury classic motor yacht SEMAYA was designed by Greek Anastassides & Tsortanides and built by Navetta shipyard in 1968. 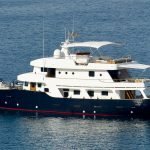 She was completely refitted in 2010/2016 with new layout, furniture, bridge equipment, electrical and water systems, generators, engines. 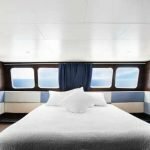 Now boasts a traditional atmosphere with a contemporary décor and modern amenities. 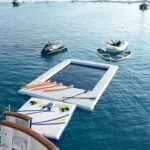 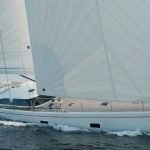 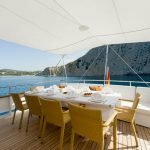 Charter yacht SEMAYA is ideal for larger groups and families offering 5 en-suite cabins in the beautiful Spanish Balearic Islands. 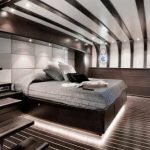 Her interior look combines a blend of traditional and contemporary style with the benefits of modern technology. 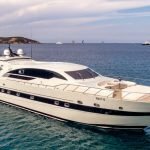 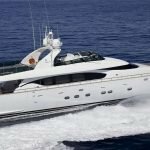 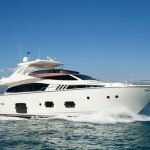 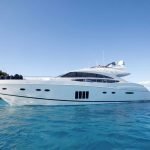 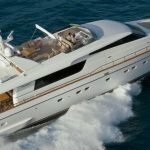 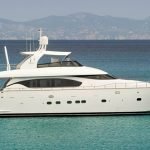 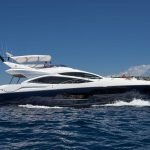 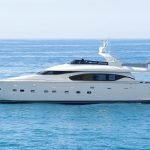 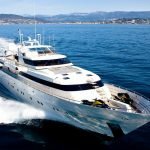 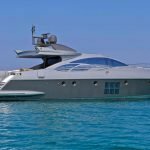 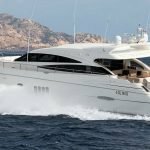 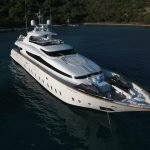 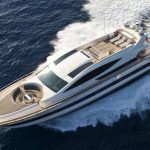 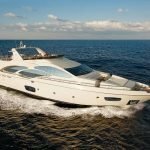 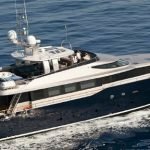 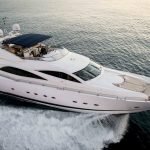 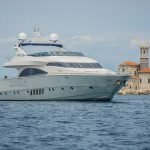 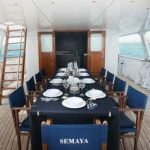 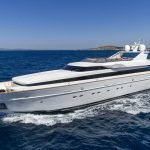 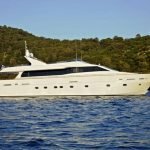 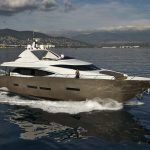 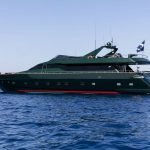 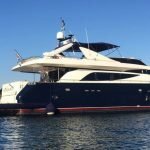 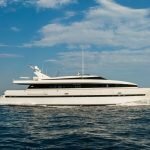 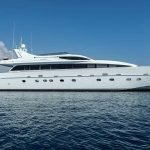 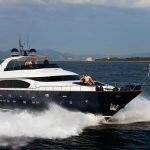 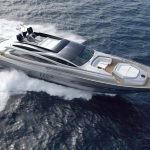 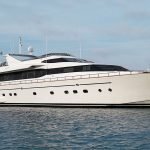 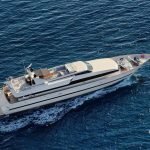 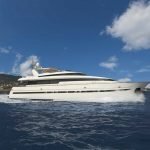 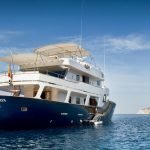 Motor yacht SEMAYA offers an open plan salon and dining with rich toned wood panels, lovely dark teak and holly floors and leather soft furnishings. 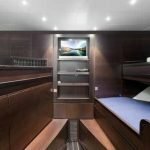 For indoor entertainment guests can enjoy a full TV and audio system in the salon and TV/DVD in each cabin. 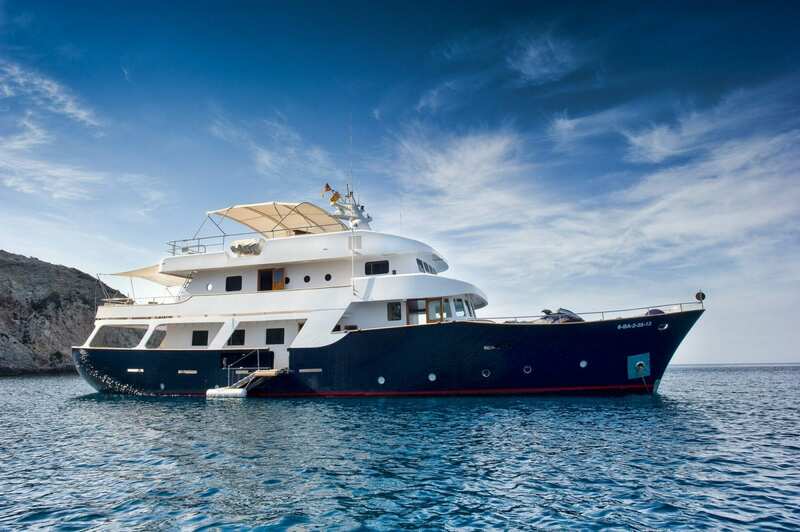 Exterior living aboard the SEMAYA is generous on 3 full decks and ideal for the warmer climates. 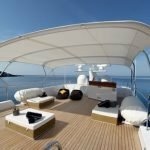 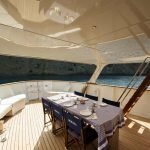 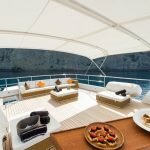 The main deck wraps around the yacht 360° and offers an alfresco dining option aft. 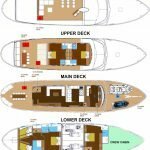 A middle deck boasts a large aft deck with seating and a shaded sunbed, 2 VIP cabins and the pilot house. 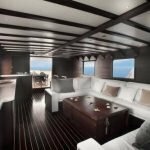 The upper deck is spacious and open, perfect for sunning and relaxing. 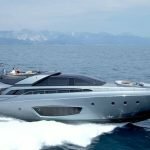 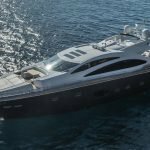 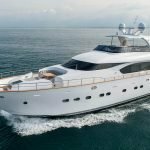 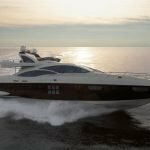 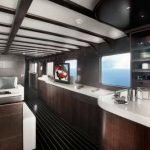 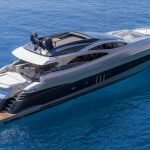 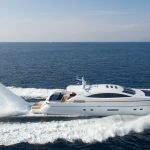 Cruising in comfort at ten knots with a very low consumption is possible thanks to her steel displacement hull and her powerful and efficient Caterpillar engines. 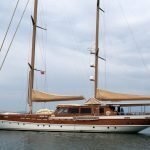 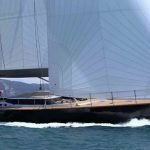 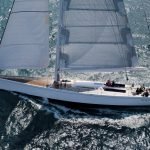 She is also very stable sailing and at anchor. 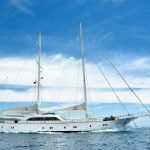 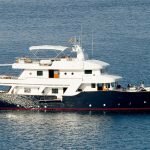 Classic yacht SEMAYA can accommodate 11 charter guests in 4 main en-suite cabins and an additional 3 guests/children in a twin cabin with Pullman berth. 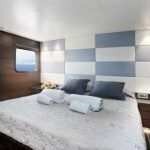 All 4 cabins offer king size beds and ample interior living space, the 5th cabin has 3 single beds, ideal for children. 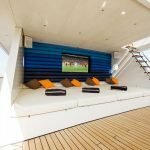 All 4 double cabins feature TV/DVD and audio systems for indoor entertainment.